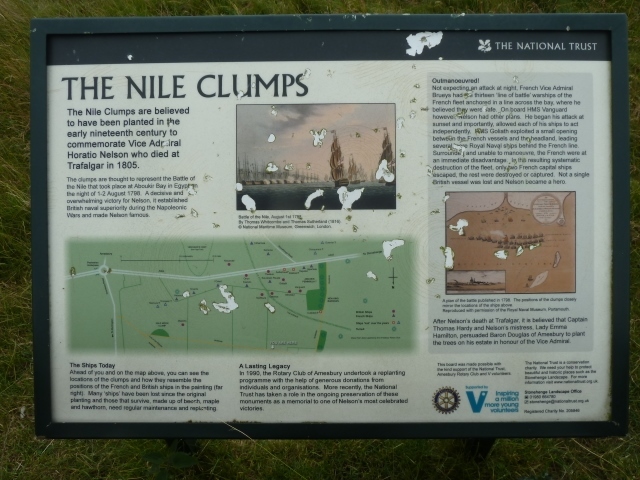 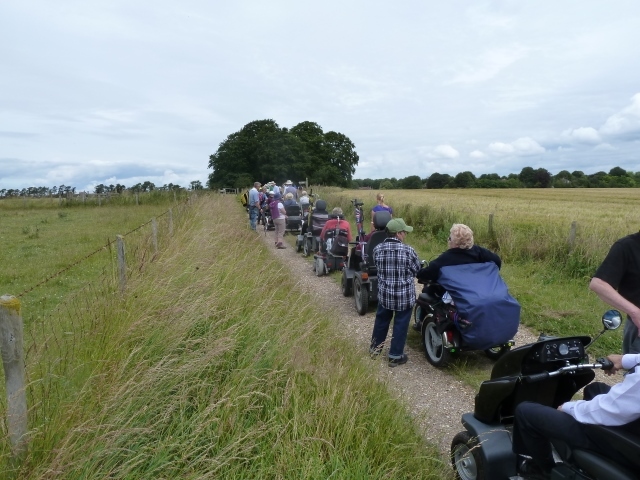 As much as we enjoyed this picturesque ramble which presented so many different scenes it was also great to hear from our guide Sonia about so much history of this great national treasure. 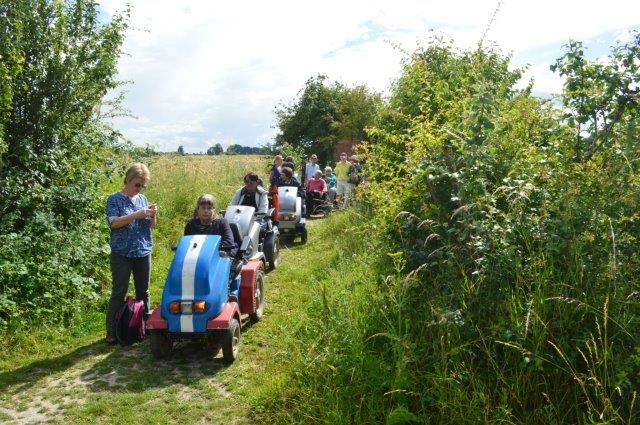 What a wonderful way to spend a warm sunny day in our beautiful countryside with a great bunch of friends old & new! 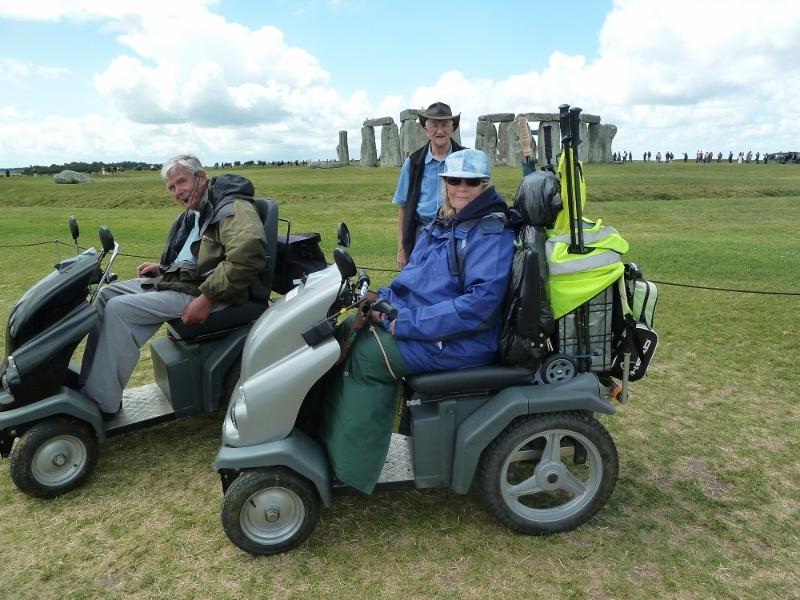 Huge thanks to Val for making it possible, to Sonia for her interesting chats & to Val’s band of helpers for their support, not forgetting Bob who pulled the essential trailer! 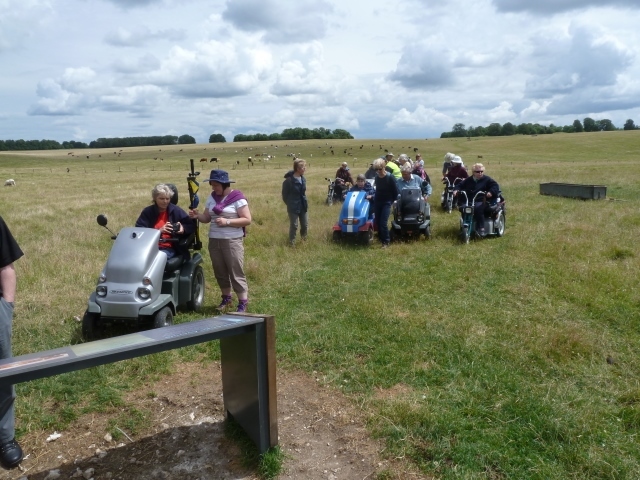 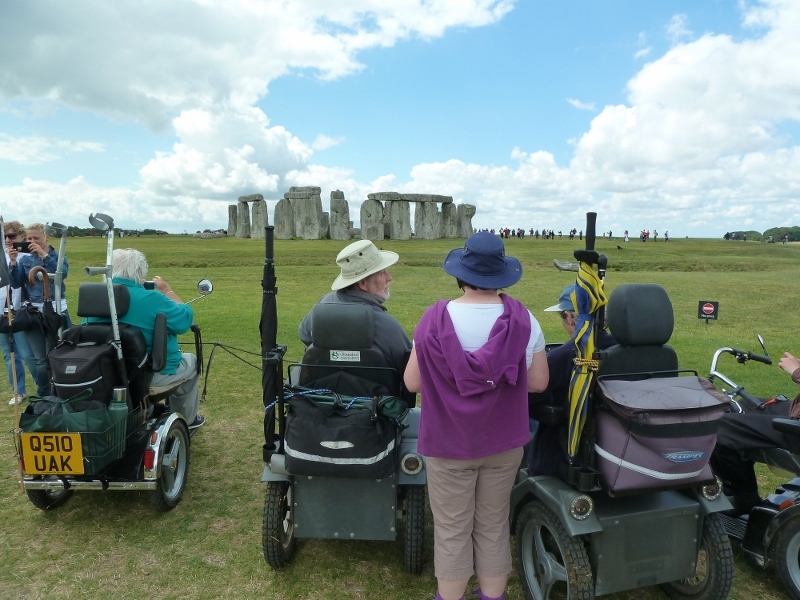 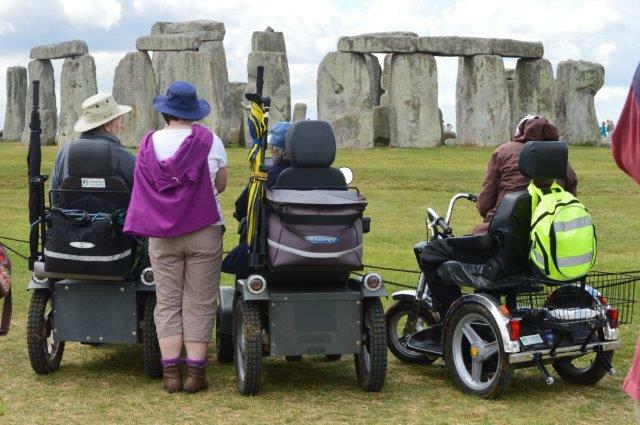 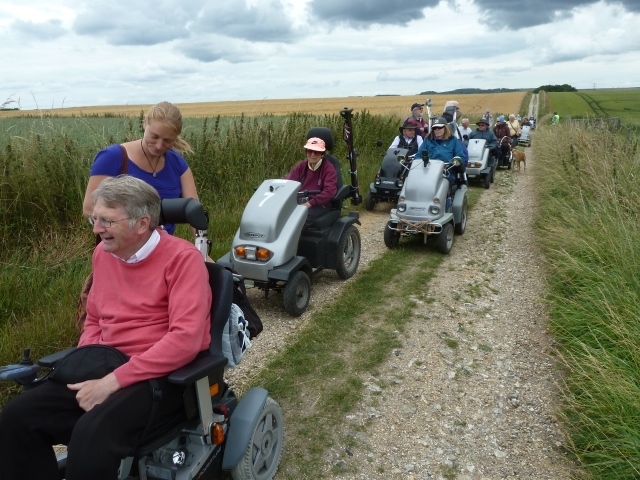 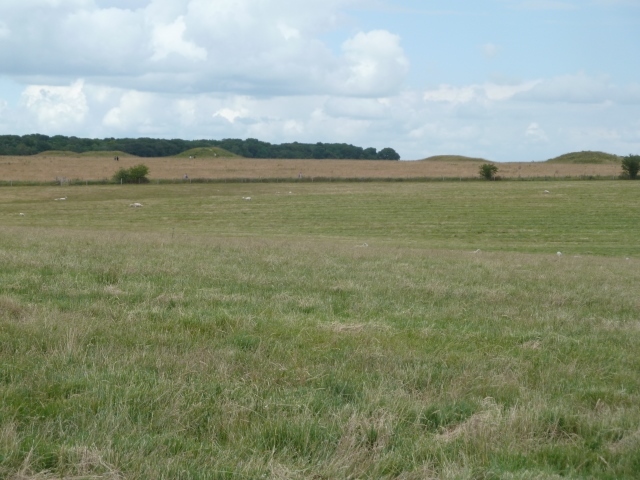 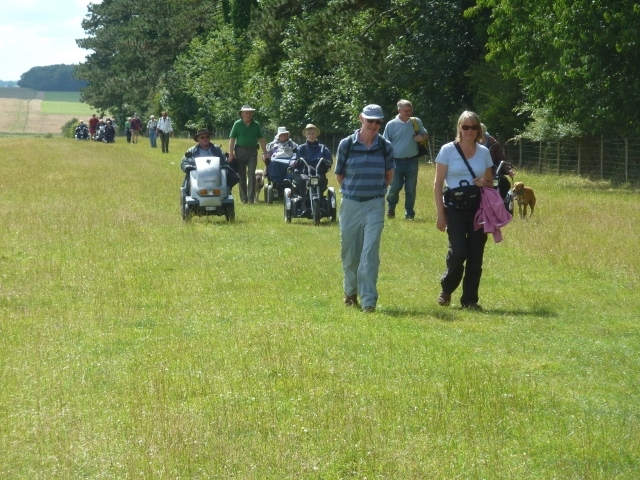 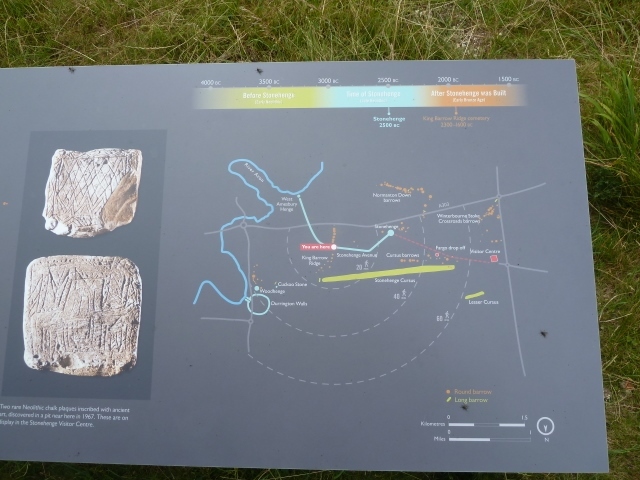 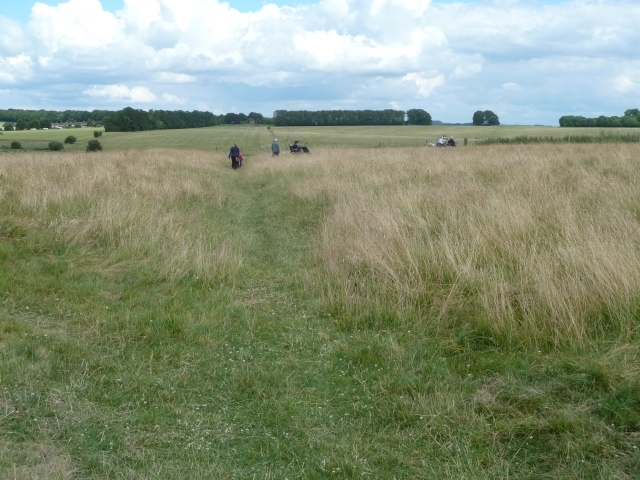 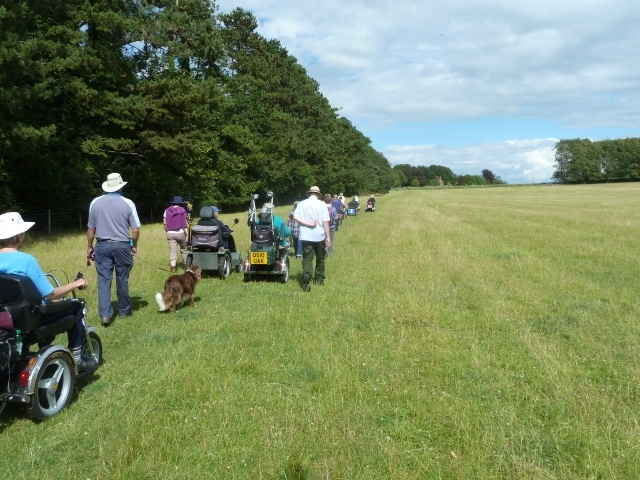 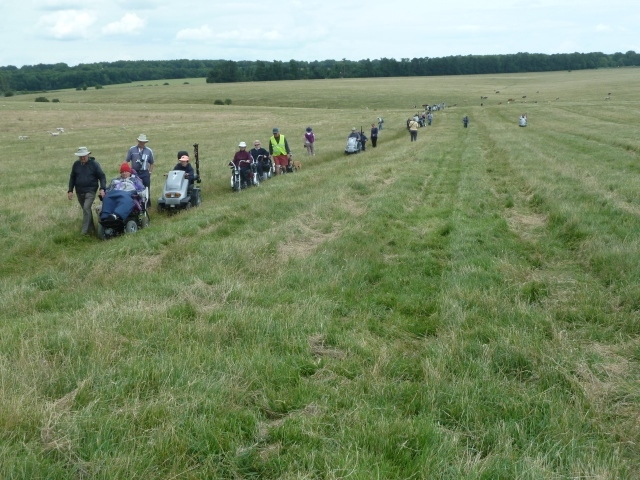 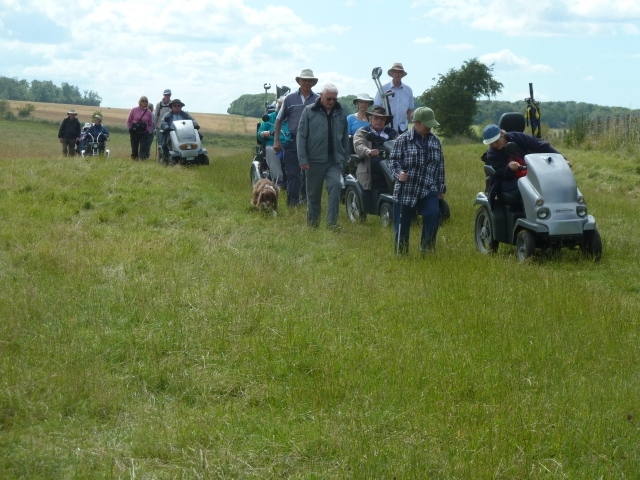 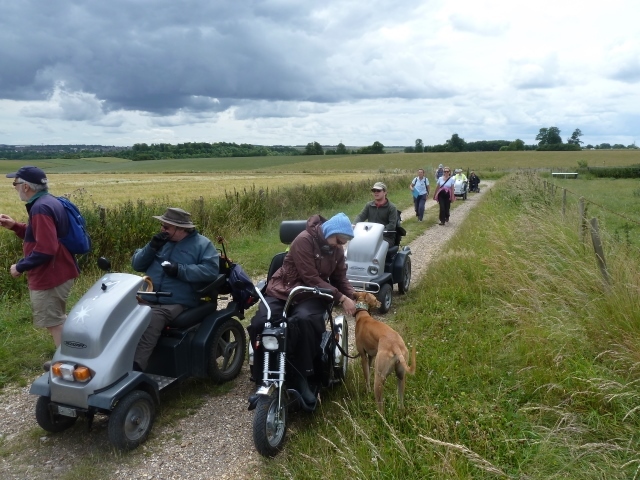 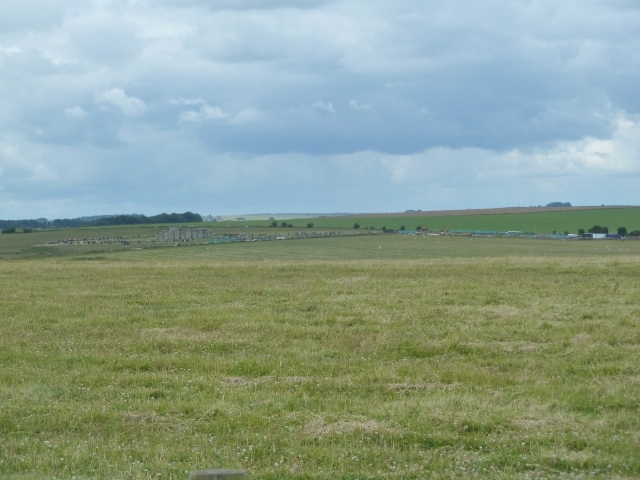 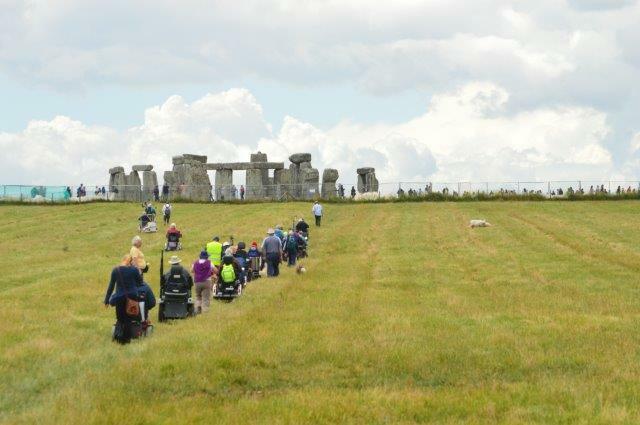 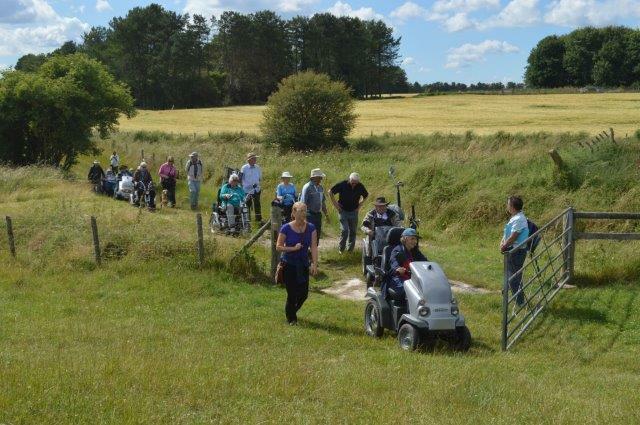 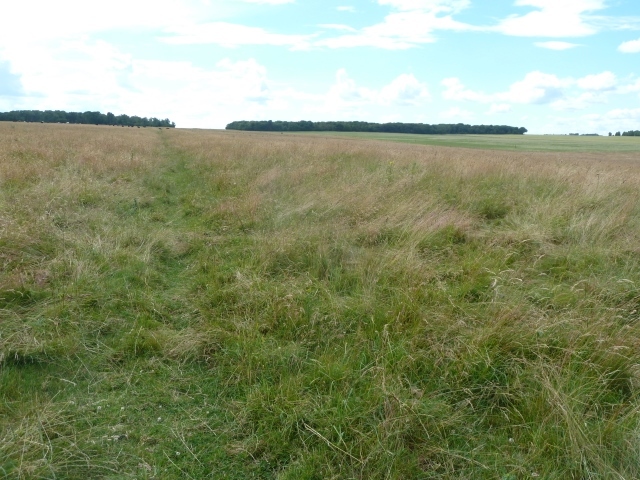 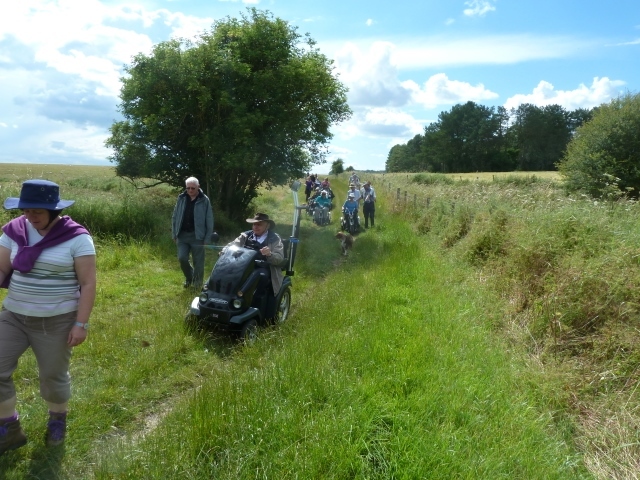 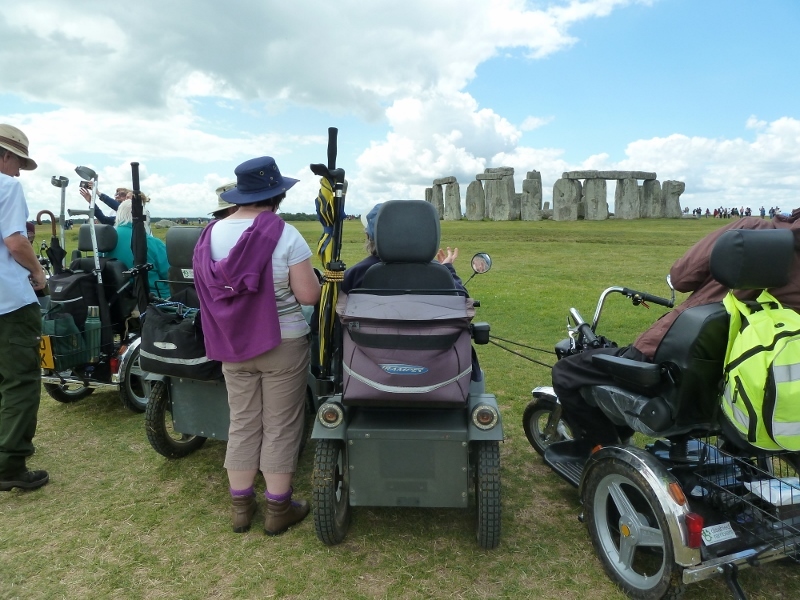 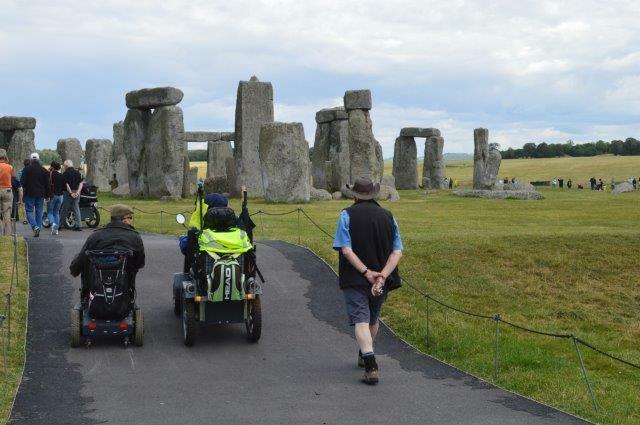 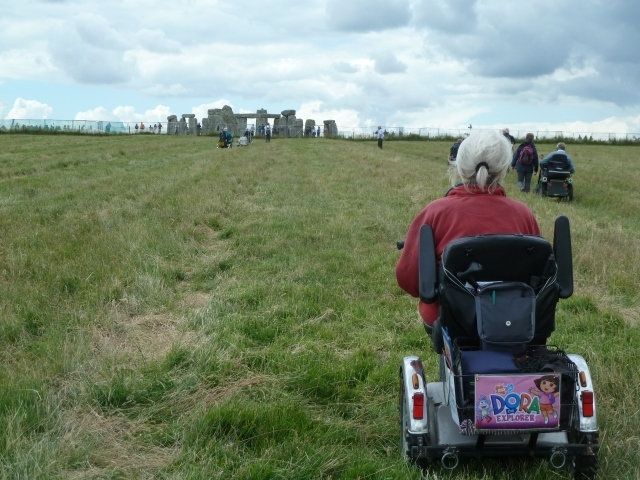 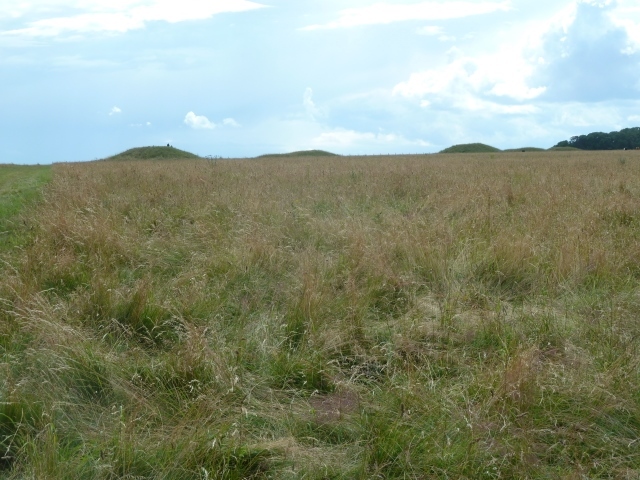 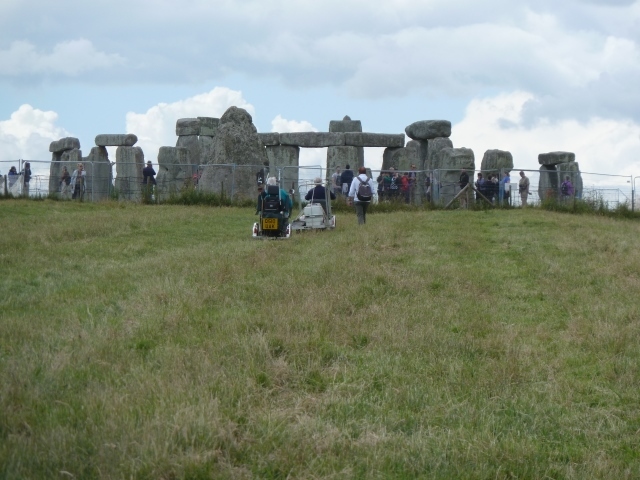 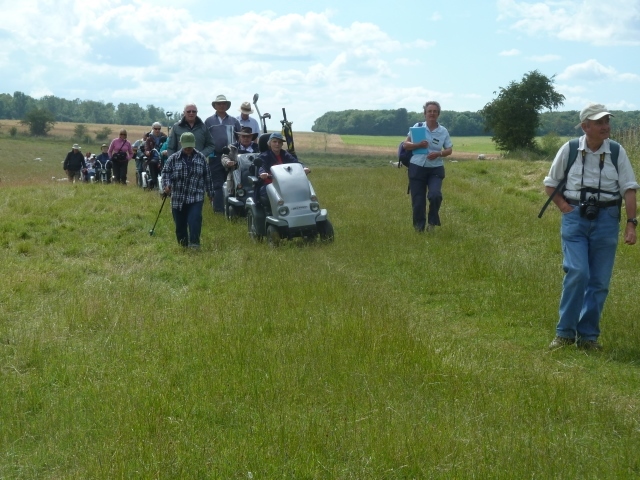 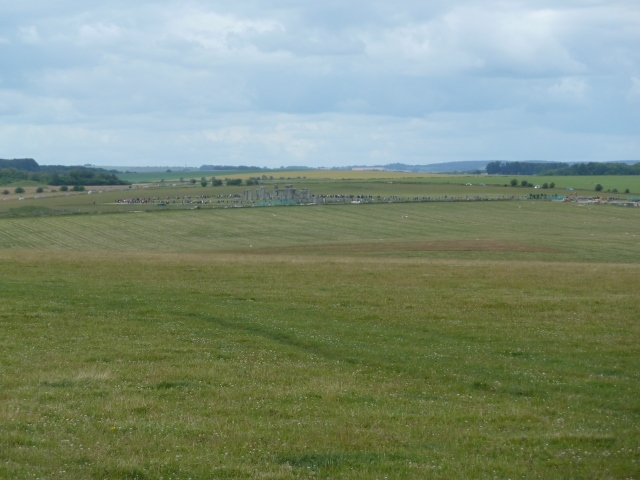 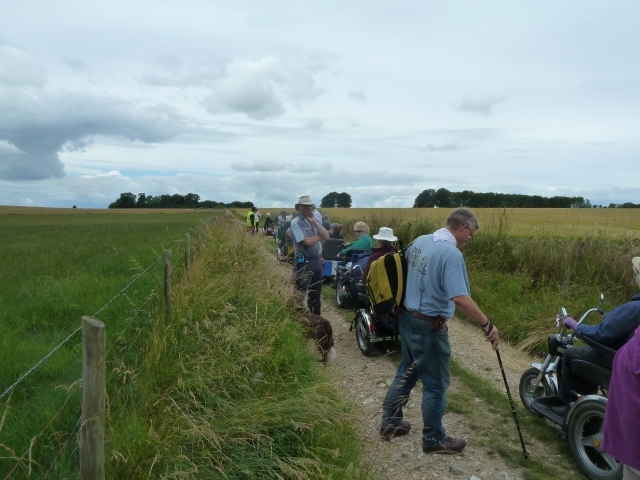 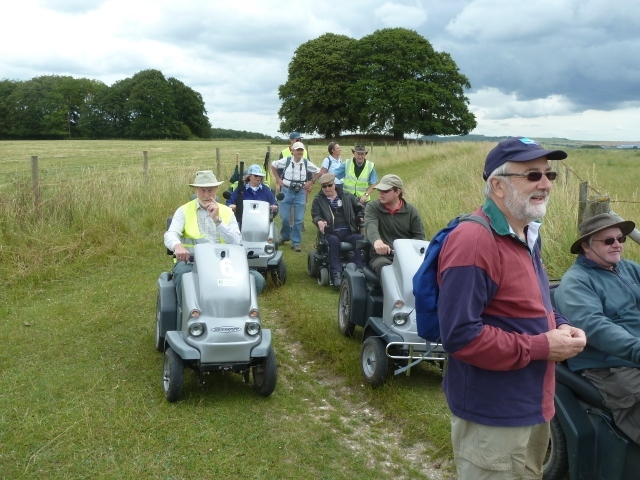 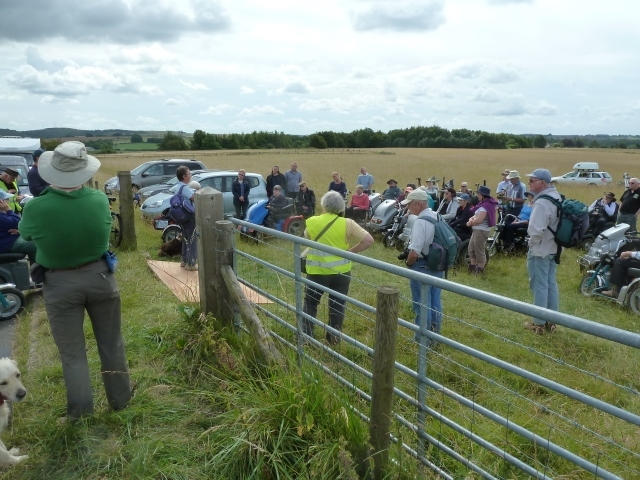 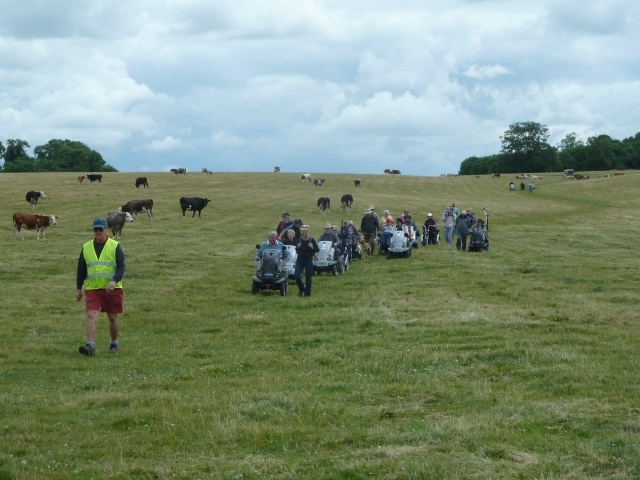 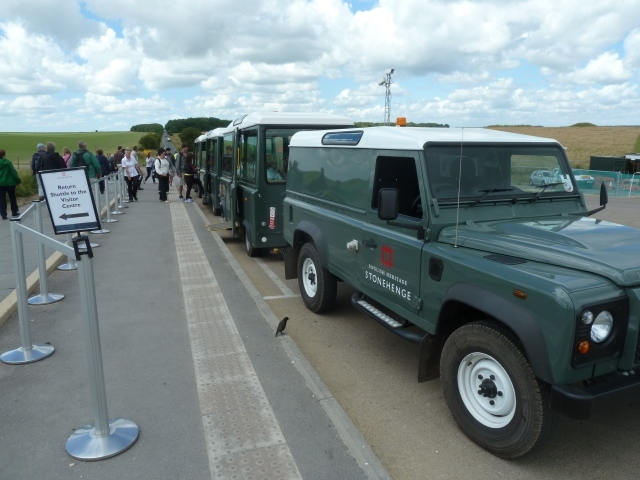 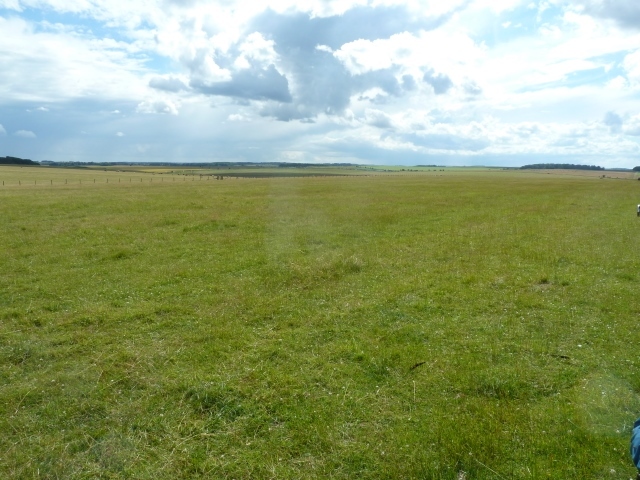 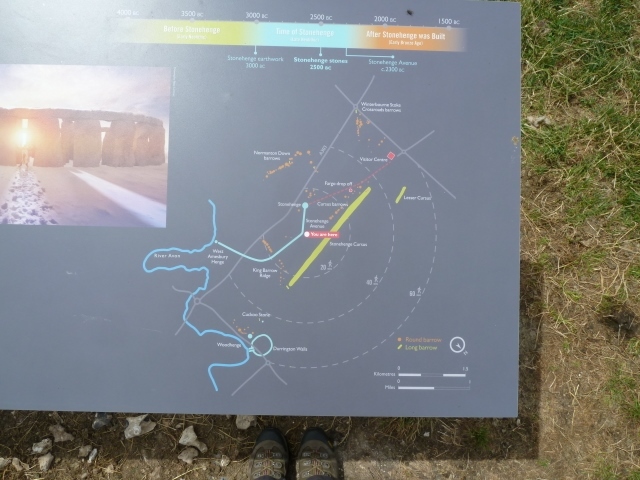 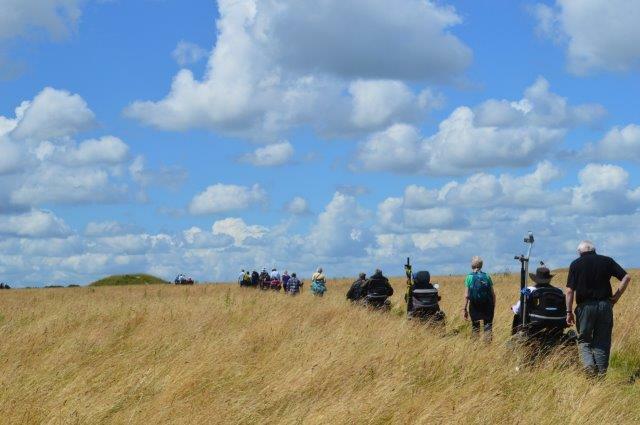 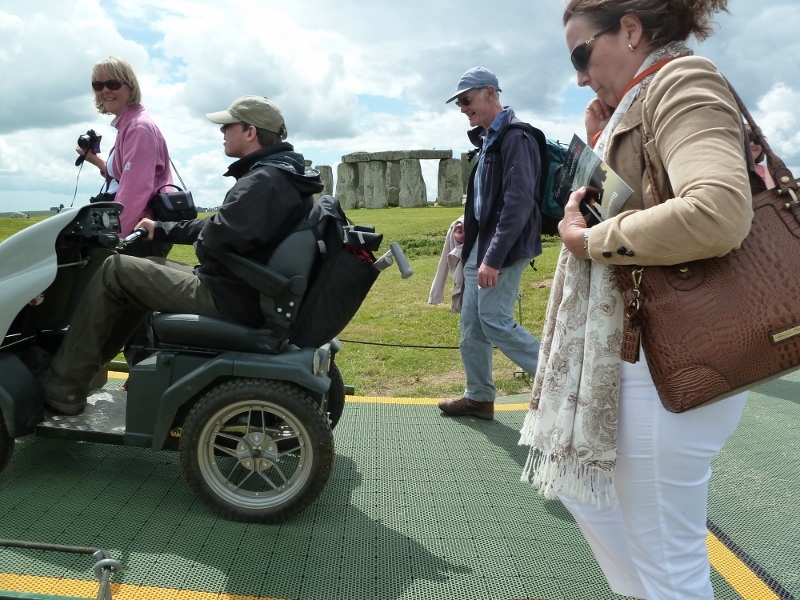 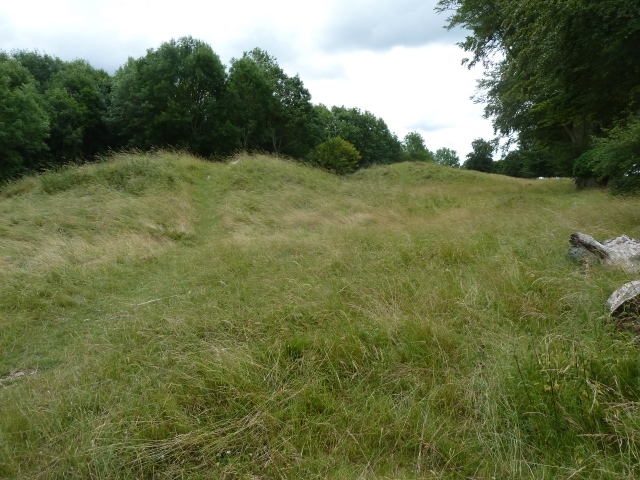 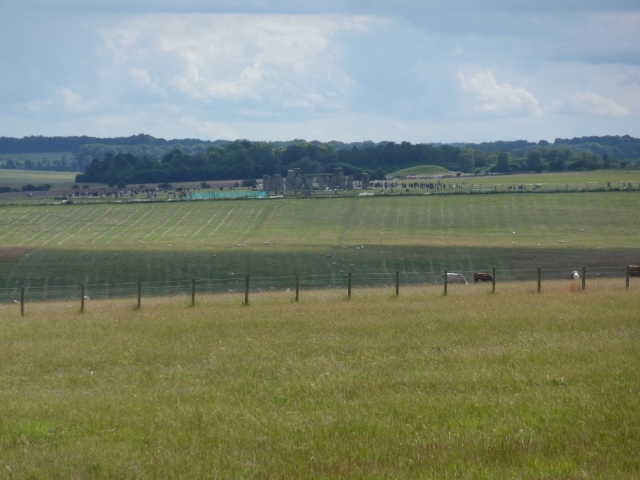 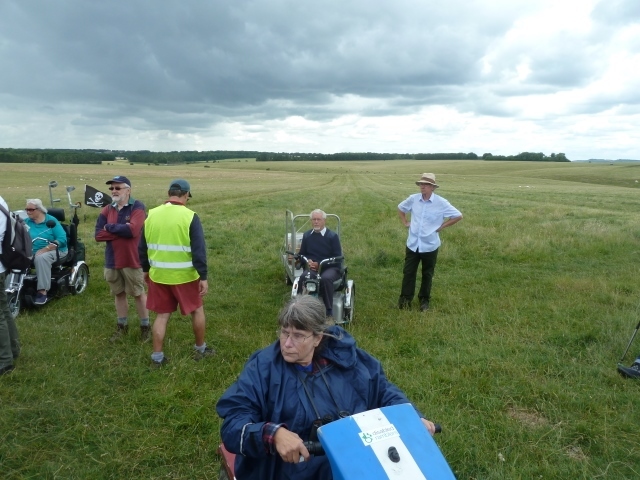 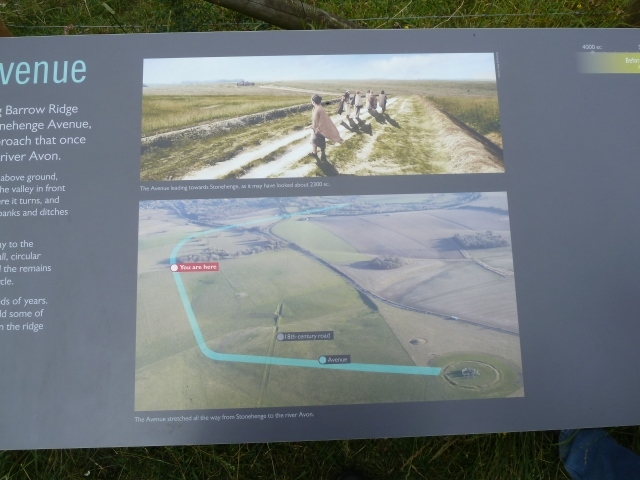 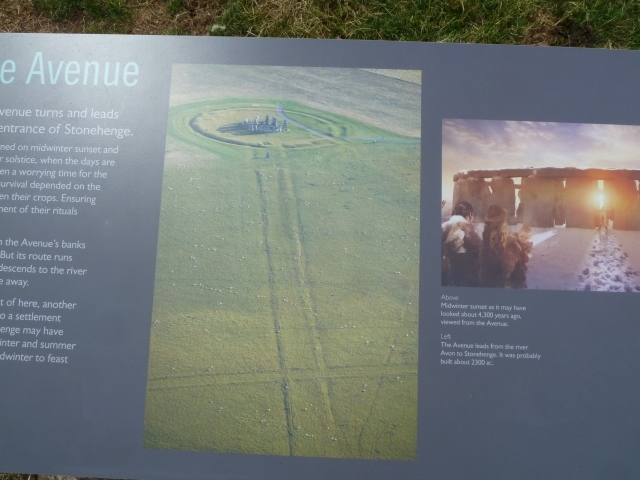 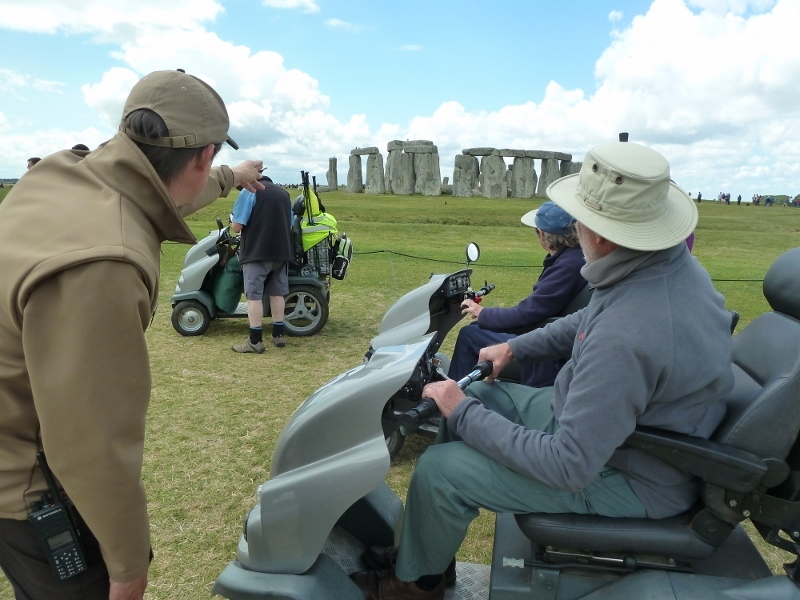 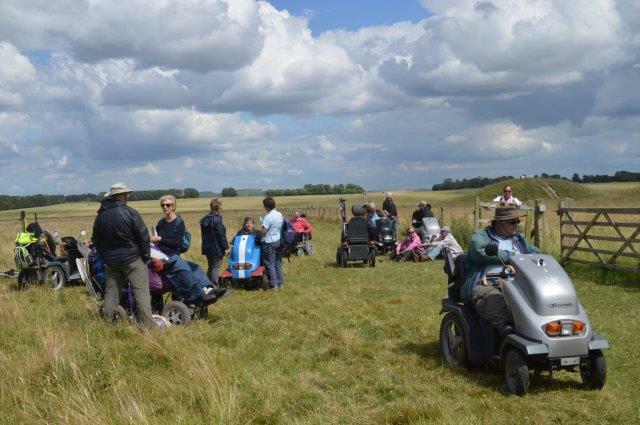 There were over 20 buggies attending with another 12 walking so this proved to be a very popular ramble which started near the less-well-known Woodhenge. 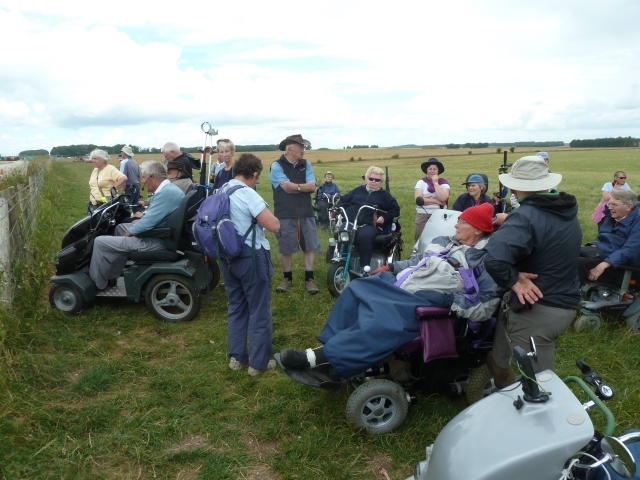 What a lively friendly bunch! 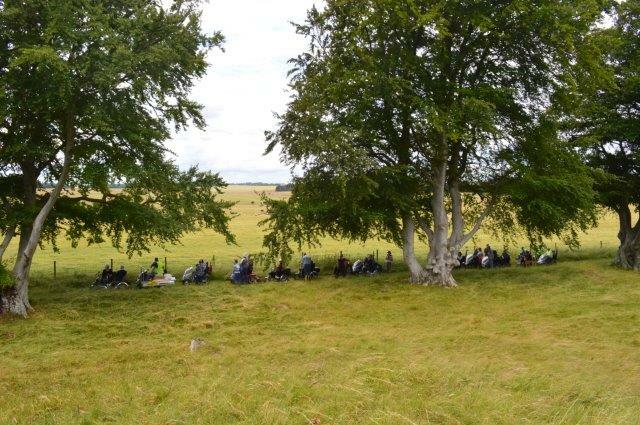 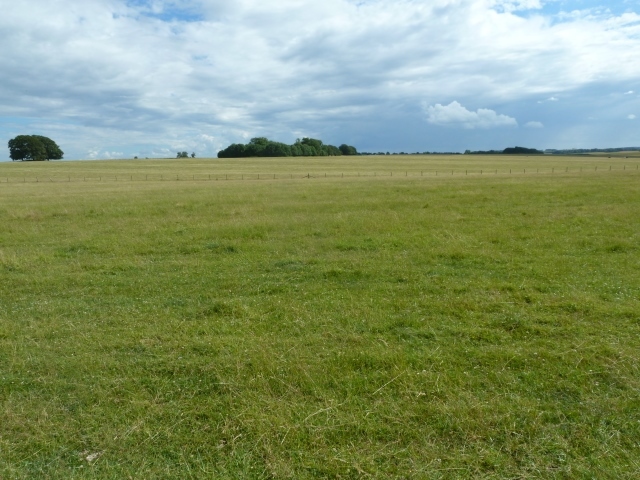 We look forward to returning to this oart of the countryside soon! 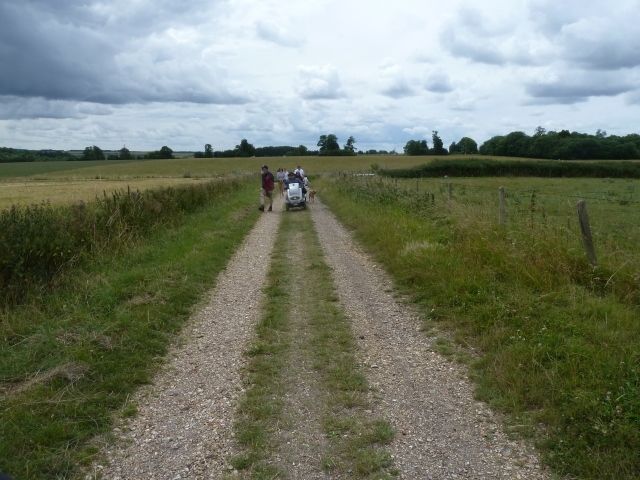 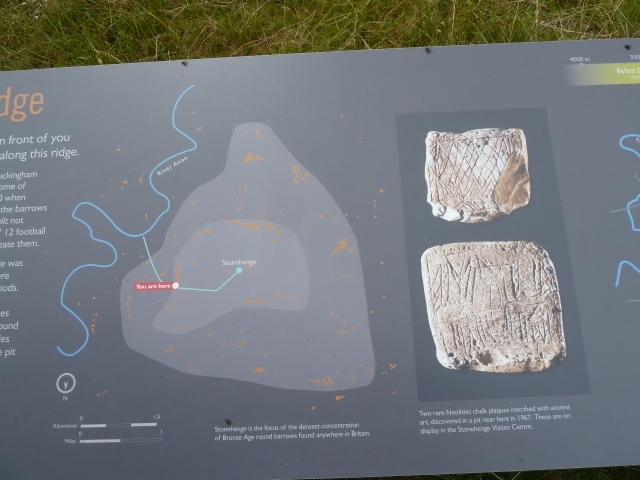 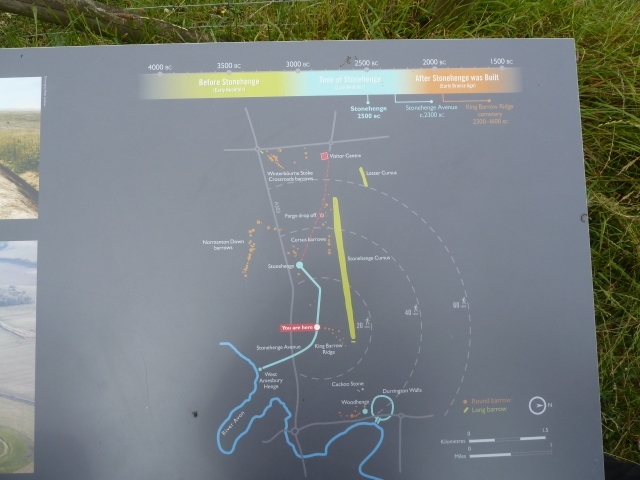 A most interesting and enjoyable ramble, thank you Val and guide Sonia. 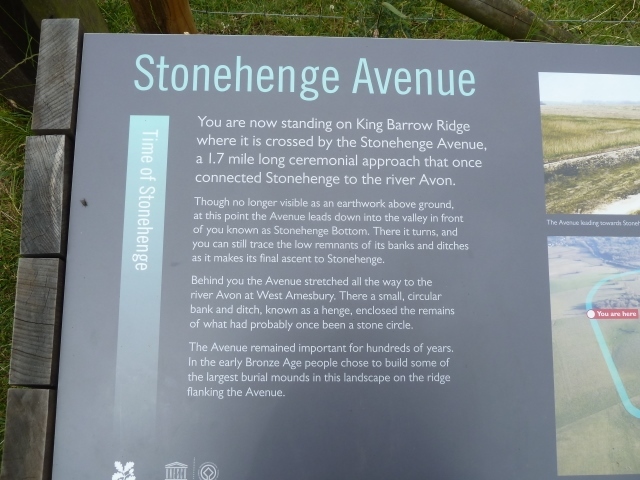 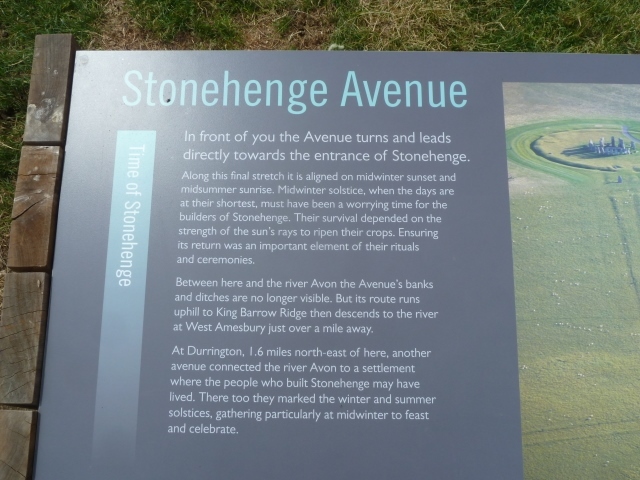 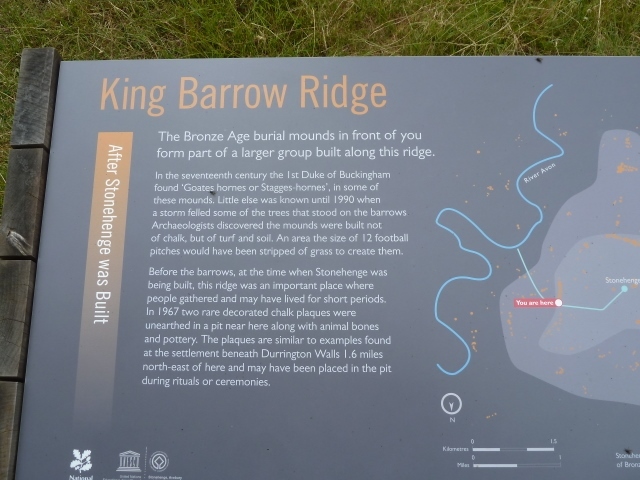 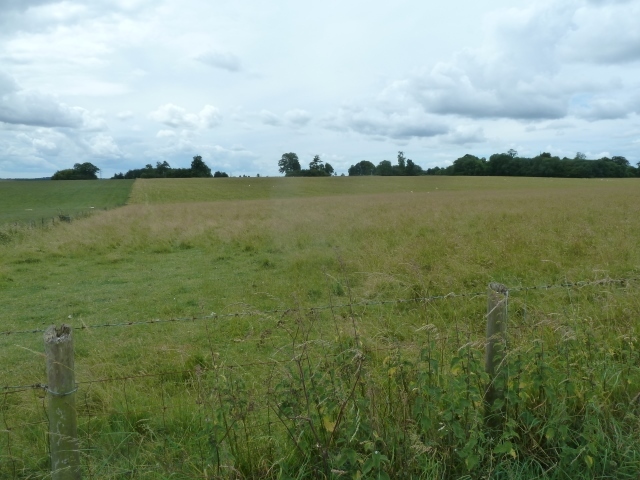 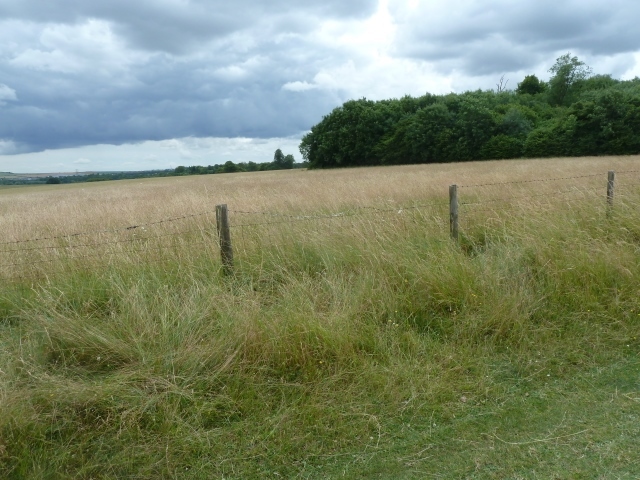 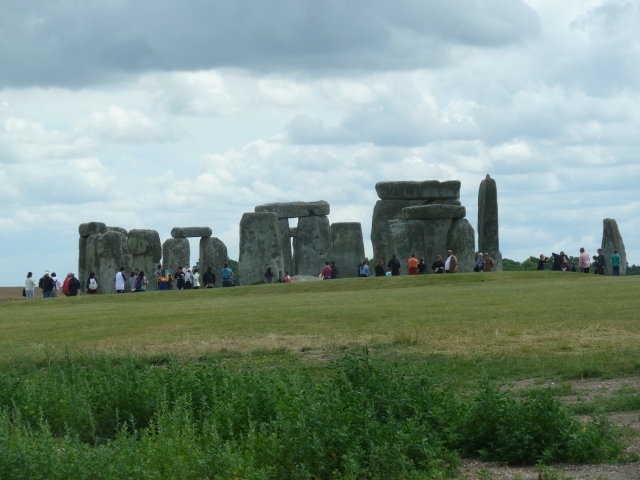 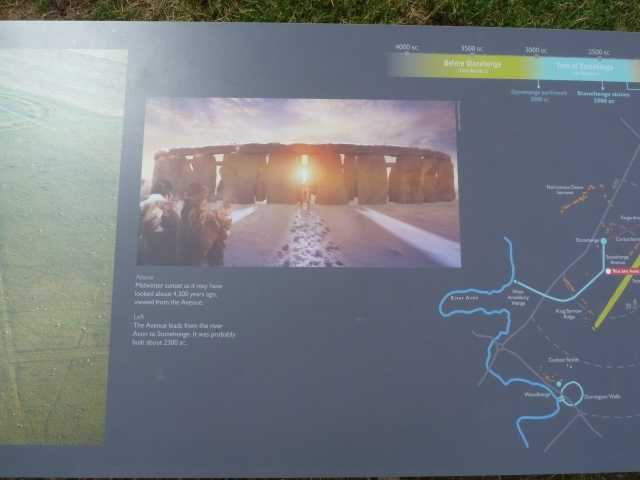 The last time I had been here was in 1955 and you could walk among the stones then, nothing fenced off, nobody else there! 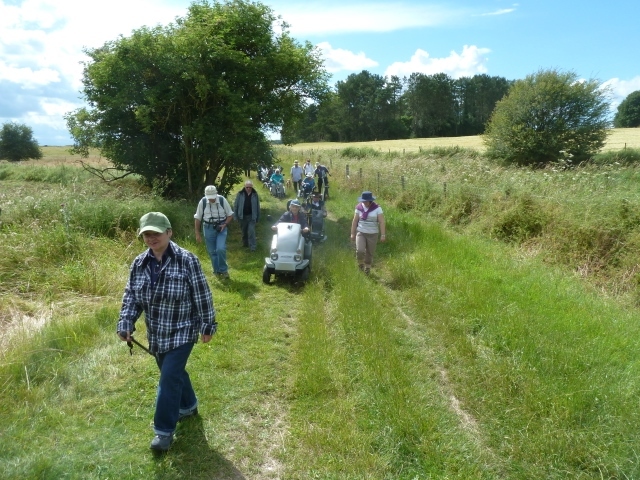 This ramble will be the highlight of my summer and so nice to see old friends we had not seen for a while. 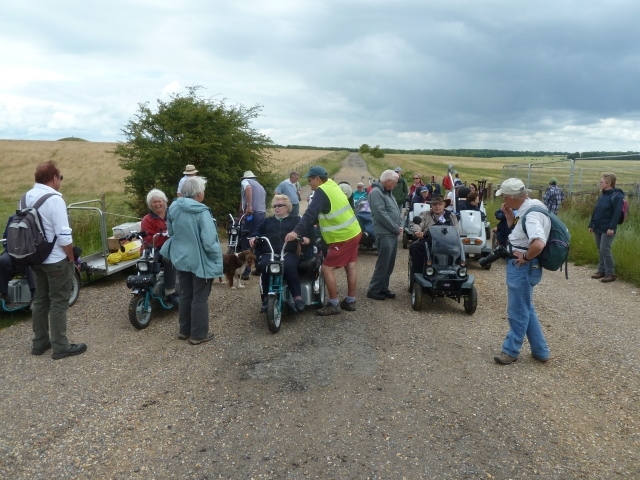 A wonderful day, thank you everyone.